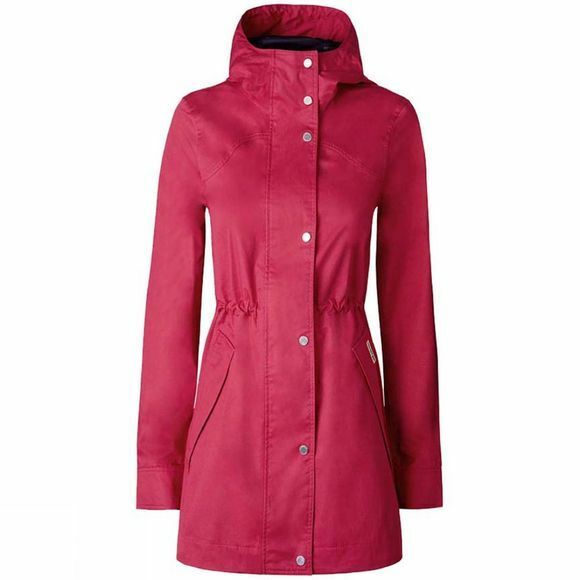 The Women's Original Cotton Smock from Hunter is a fully waterproof smock-style jacket designed for those looking to bring a sense of style to their outdoor wardrobe. Whether out walking the dog through hills on a brisk spring morning or simply popping to the shops, you will be just as dry as you will be stylish. With fully sealed seams and pockets designed to rain out and your essentials protected. The draw cord on the waist and hood allow you to adjust the fit more precisely for better performance and also to pull in the waist for a more feminine shape.